This 45-year-old female came to Dr. Gardner with worsening right leg pain. She is a runner and notes associated swelling that worsens throughout the day, the more she is up on her legs. She has bulging varicose veins on her Right medial calf. 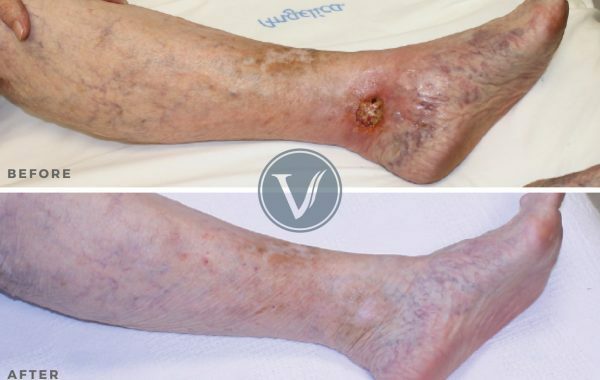 She was noted to have refluxing superficial veins in the right leg. Dr. Gardner used a combination of Endovenous laser ablation along with phlebectomy and sclerotherapy to treat her incompetent veins. After the procedure, she noted resolution of her right leg pain. She was also thrilled that her leg looked better after removal of the large bulging varicose veins. She reported it made running much better. “My legs look and feel so much better! It’s made running better for me!